Most companies have realized that white hat hackers are essential to the safety of data and networks. There is an increasing demand and hence it is the best time to exploit this opportunity. Become a white hat hacker! 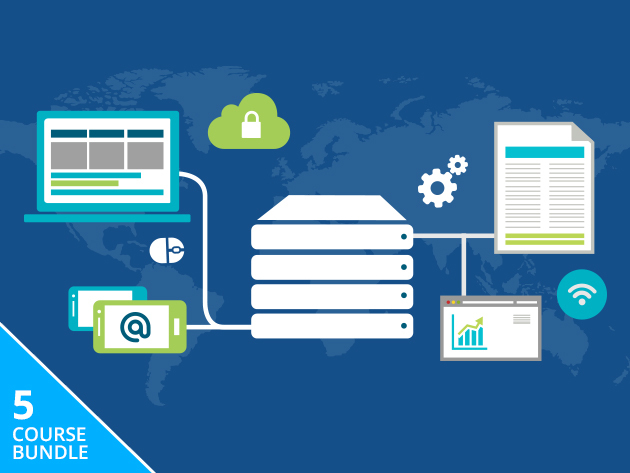 The Complete White Hat Hacking & Penetration Testing Bundle will help you in this. You will get an introduction the course and from there you will learn everything you need to know. From hacking techniques and penetration testing to cryptography, the course has everything you need. All security professionals should be well versed in cloud technology. The Complete White Hat Hacking Penetration Testing Bundle will help you get up to speed on virtualization and cloud technology. It will even teach you to set up and maintain a virtual system from scratch. You will be able to host anything from a few to hundred of machines in one infrastructure. The bundle will also help you to understand the vulnerabilities and dangers that exist due to the network structure. You will successfully learn to come up with ‘cures’ to this disease. You will also learn techniques of a Cisco network engineer. You will be able to create networks with unlimited devices. At the end of the course you will be able to troubleshoot like a pro and you won’t be needing access to Cisco routers and switches.No need to worry if you aren’t a web developer. The bundle will help you host your own sites with the same level of skill.